There are no prerequisites to take this 10 hour OSHA training course. Students need to be able to verbally communicate with instructor in primary language of the training. Local Law 196 (LL196) mandates completion of OSHA training by 3/1/18 for all demolition and construction workers employed within the Five Boroughs on projects requiring a Construction Super, Site Safety Manager, Site Safety Coordinator, Concrete Safety Manager, or Competent Person. Under LL196, Section 3310.10.2, which called for the OSHA training every 5 years, was repealed and Section 3321 was added. The new section outlines the training requirements under LL196 and can be found on the DOB’s website. Entry-level workers, employees on publicly-funded projects in NY, and other personnel connected to roles that require an awareness of safety and health concerns in the construction industry. This 10 Hour OSHA Outreach training is designed to promote workplace safety and health and to make workers more knowledgeable about workplace hazards and their rights. This Outreach program emphasizes workplace safety and health, the role of the construction worker in hazard recognition and avoidance, workers’ rights, employer responsibilities, and how to file a complaint. Per OSHA Outreach Training Program requirements, Rev April 2017, a student is eligible for makeup training only if they have completed at least 50% of the contact hours for the training PRIOR to their absence. It is the responsibility of the student to contact TSCTA to schedule a make-up session within 6 months of the original class date. 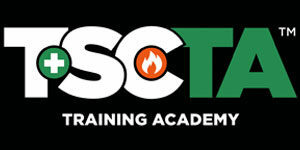 Read TSCTA’s full attendance and make-up time policies here. Upon completion of the course students will receive a certificate from TSCTA and within 90 days of successful completion of the course, participants will receive an OSHA 10-Hour Construction Industry wallet card from the OSHA Training Institute (OTI). The OSHA Outreach Program Training Guidelines (April 2017) require that the OSHA course completion cards are issued directly to each student, regardless of who paid for the training.